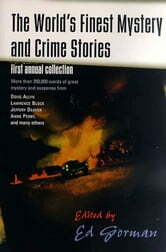 In the tradition of The Year's Best Fantasy and Horror and The Year's Best Science Fiction, The World's Finest Crime and Mystery Stories, First Annual Edition finally fills the void for those with a hunger for the best mystery and suspense stories of the past year. Including such bestselling authors as Jeffrey Deaver, Elizabeth George, Faye Kellerman, Jonathan Kellerman, Ed McBain, Anne Perry, and Ruth Rendell, plus many, many others, this volume will positively blow the competition away. 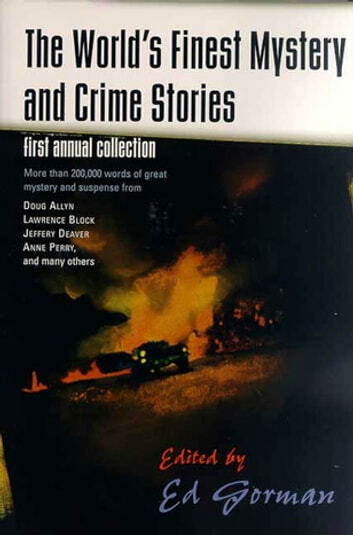 For, unlike the other various mystery anthologies, The World's Finest Crime and Mystery Stories collects stories from writers around the globe, including Britain's Silver Dagger short-fiction award winners. It will also be almost twice as big, weighing in at more than 200,000 words, and will arrive two months before the competition. This comprehensive anthology promises to be the definitive annual collection of the very best mystery and suspense stories the world over.